Believe it or not, there are a couple of different manufactured home financing options available through government programs. Figuring out what types of manufactured homes are acceptable and how to apply for the FHA loans can be complicated. Programs seem to come and go and eligibility requirements change. 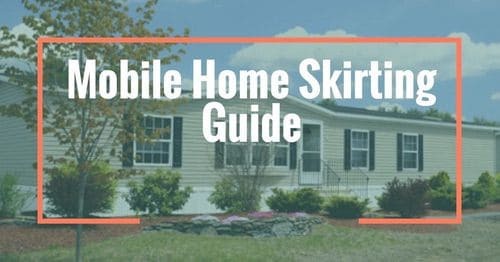 This is our attempt to help potential buyers and current homeowners learn more about government-backed loans and the various other manufactured home financing options available to them. 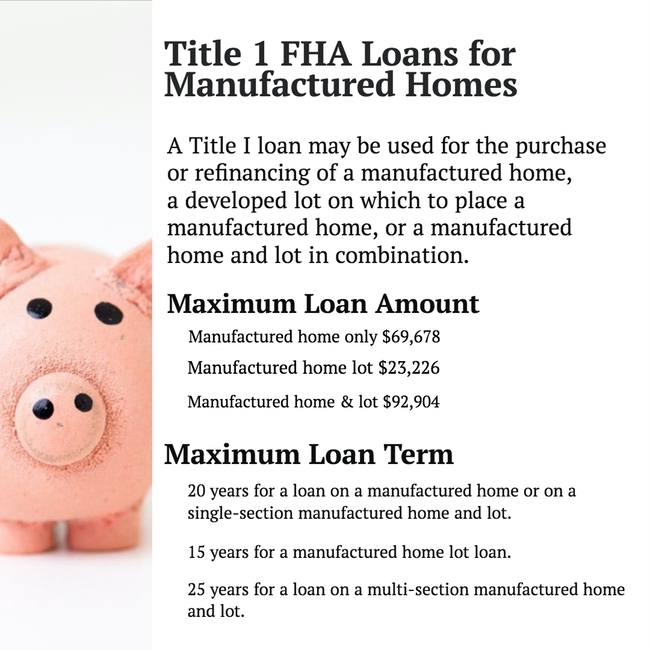 Manufactured homes are eligible for FHA loans but there are a lot of hoops to jump through. Still, using a government-backed program will likely save you thousands of dollars over using private manufactured home dealer financing. 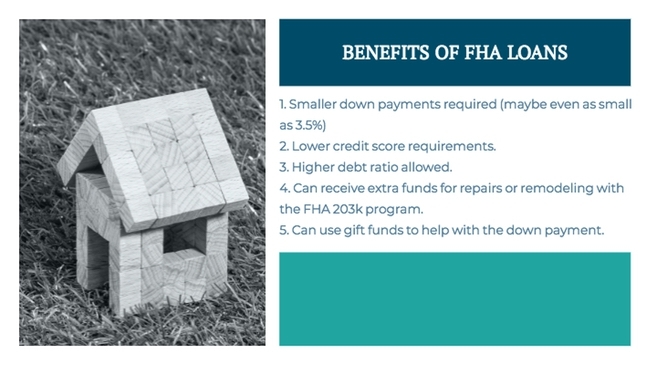 FHA loans have given many families the opportunity to buy a home. FHA loans require much lower down payments, lower credit scores, and lower interest rates. These government-backed mortgage programs are possible through the use of mortgage insurance policies like PMI (private mortgage insurance), MMI (mutual mortgage insurance, and UFMIP (upfront mortgage insurance premium). Only eligible banks or private lenders can issue FHA backed loans. You can click here to be taken to the HUD search page and find eligible lenders in your area. FHA loans are far less stringent than private mortgage lenders. Most people will admit that saving up for a down payment is by far the hardest aspect of buying a home. It’s hard to save money when you have to spend most of it to live! 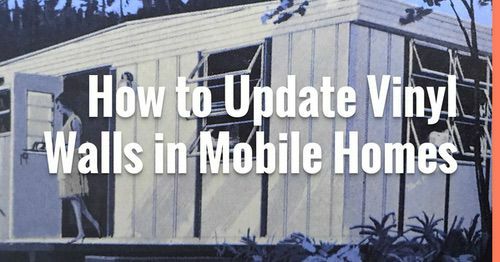 Learn more about what you need to know before you buy a mobile home here. Higher debt ratio allowed (the amount of credit you have available to you versus the amount you have used). FHA loans require that manufactured homes be secured onto a permanent foundation to be eligible for a mortgage loan. The foundation requirements for a manufactured home can be found in the Permanent Foundations Guide for Manufactured Housing (PFGMH). The lender must obtain a certification by an engineer or architect, who is licensed/registered in the state where the manufactured home is located, attesting to compliance with the PFGMH. • certification of the structural integrity from a licensed structural engineer if the state does not employ inspectors. For more information on the see Handbook 4000.1 II.A.1.b.iv. (B)(5)(c)(ii) and II.D.5.c.available here. 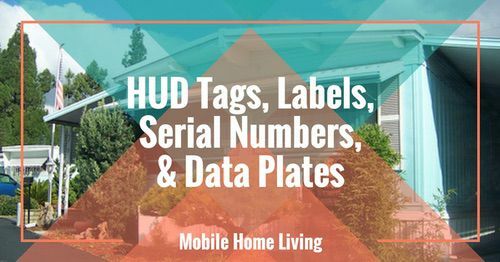 According to the HUD website, a Title I loan can be used for the purchase or refinance of a manufactured home, a developed lot to place the home, or a home and lot combination. The home must be the borrower’s principal residence to qualify. FHA approved lenders work with the Title I program to make the loans from their own funds and the Title I program ensures those loans in case the home buyer defaults. A homeowner does not have to purchase or own land that their manufactured home is going to sit on. 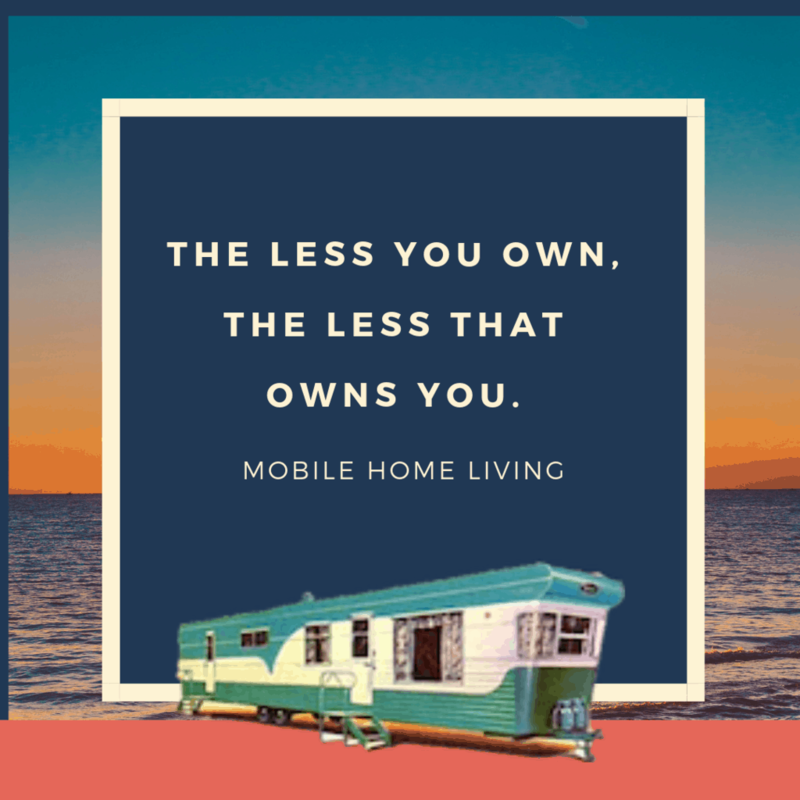 Borrowers may lease a lot in a manufactured home community and still qualify for a loan as long as the lease is for a lease term of at least 3 years. Also, the lease must include a provision that the owner will receive at least 180-day notice if the lease is going to be terminated. This is in place to protect the homeowner in case a community closes. Have enough funds to make the minimum required downpayment. Be able to prove their income to make the payments on the loan and meet their other expenses. Have a suitable site to place the manufactured home. The home may be placed on a rental site in a manufactured home park, provided the park and lease agreement meet FHA guidelines. The home may be situated on an individual homesite owned or leased by the borrower. Learn about 3 more manufactured home financing options here. Keep in mind the manufactured homes must meet certain standards to qualify. The home must meet installation standards, carry a one-year warranty from the manufacturer (if new), and be placed on a site that meets the standards for the area. Learn more about Title 1 loans in the Title I Property Improvement and Manufactured Home Loan Regulations Handbook here. 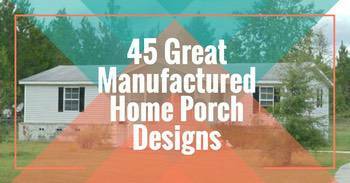 See 10 Gorgeous Manufactured Home Models on the Market Today here. 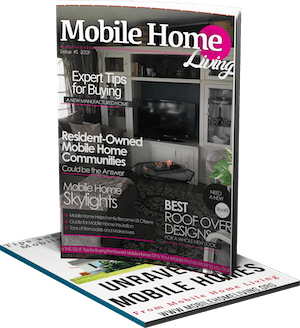 In June of this year, Fannie Mae re-launched their program, MH Advantage, with a focus on helping to get more people into manufactured homes with comparable features of a stick-built home. Keep in mind, these manufactured home financing options are only available to homes that are classified as real property (though we’ve read that they are looking into chattel finance). 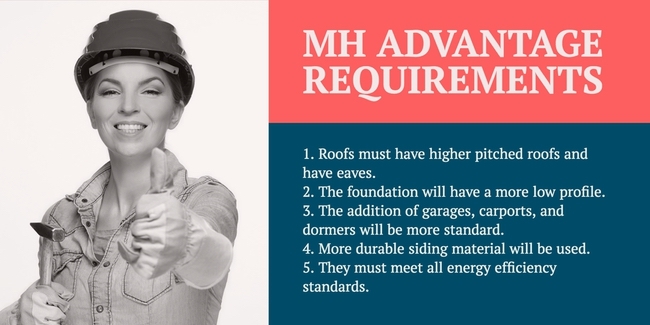 A home must be designed and built to meet MH Advantage requirements. The goal is to ensure the homes appear more like a site-built home. More than ten companies are participating in the MH Advantage program now. Clayton Homes, Cavco (which manufacture homes such as Fleetwood and Palm Harbor), and American Homes are just a few that are on board to provide a variety of home styles and designs to fit any family. FYI: Every home that meets the MH Advantage standard will have an MH Advantage sticker affixed to it. If you are interested in learning more about new manufactured home financing options Fannie Mae can help you. Click here to learn more. The MH Advantage program just (re)started. Since it is a new program, we can expect to see modifications and requirement changes as the program matures and the Fannie Mae Duty to Serve Team (the team overseeing the program) sees fit. If you already own a manufactured home and are having problems keeping up with the payments you may want to look into the HARP® program. 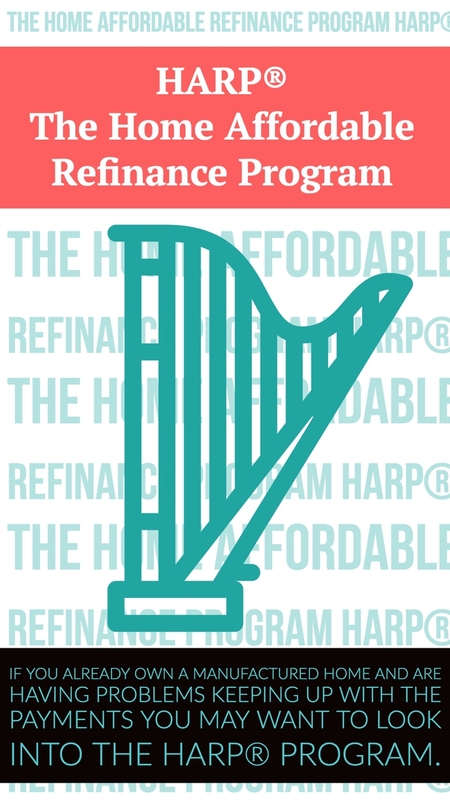 The Home Affordable Refinance Program, or HARP®, was established in 2009 by the Federal Housing Agency to help homeowners who are having problems with their mortgages. Your loan is owned by Freddie Mac or Fannie Mae. (You can use the Loan Look-up Tool on the site if you are unsure). Your loan was originated on or before May 31, 2009. (There is a loan lookup tool on the site to help you get the exact date). Since the program started back in 2009, there have been many changes to the program. The HARP® program will end 12/31/2018. 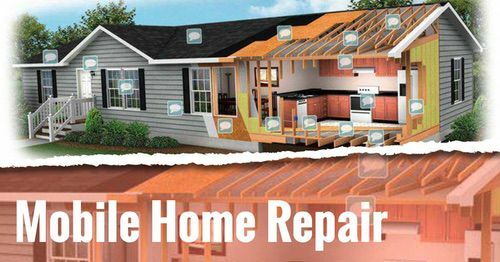 Learn about 18 Home Improvement Loans and Grants for Your Manufactured Home Remodel here. This article is just a quick look at a few manufactured home financing options available. If you are interested in learning more about these manufactured home financing options you will want to find a housing counselor and look into the vast information on this HUD page. You can also call HUD’s interactive voice system at (800) 569-4287. Remember, the government programs don’t lend the money themselves. At most, they simply back the loans or offer benefits to reduce the risk that the private lenders face when making loans. Do you have experience with these manufactured home financing options mentioned above? We would love to hear from you and learn more about your experience. Please leave a comment below. We have a double wide home on rented land . We have a Chattel loan with a high interest rate. looking to find a refinance loan . at a lower rate. Unfortunately, your chances of refinancing are slim unless you can get a personal loan from your bank and they would probably not want to to do it once they find out its for a manufactured home. The dealer told my brother-in-law that he could refinance to get a lower interest rate and get his parents off the loan (as co-signers) after a couple of years when he purchased his single wide. No one would touch it in WV regardless of employment or income or credit score – his home was financed through one of the builder’s finance companies. I’d work on establishing a good relationship with your local bank (open accounts, get mini-loans and pay them off, etc.). Of course, every state is different so you may have a much larger market to work with.